Free Shipping Included! 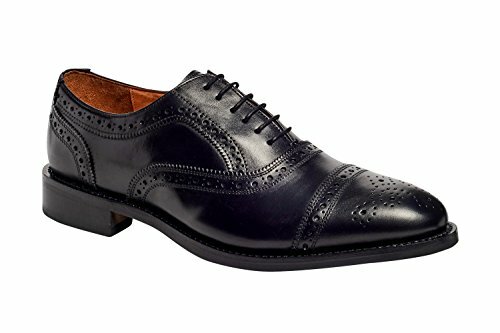 Anthony Veer Mens Ford Oxford Semi Brogue Leather Shoes In Goodyear Welted Construction (8.5 D, Black) by Anthony Veer at SCRHI. MPN: 12345465646. Hurry! Limited time offer. Offer valid only while supplies last. Anthony Veer's Ford Oxford Semi-Brogue are made in Goodyear Welted Construction, which is the finest quality of construction in shoes, industry wide!